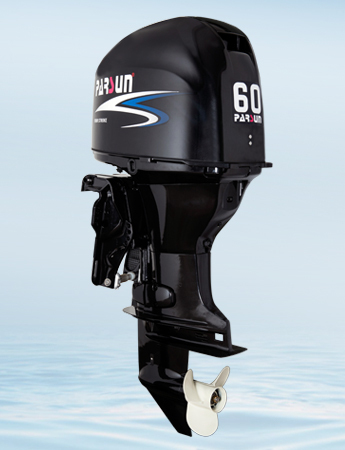 PARSUN 60HP 4-stroke outboard motor is utmost powerful, silent, fuel-efficient and reliable. It is an ideal outboard for fishing boats. Its single overhead camshaft (SOHC) and eight valves aim for maximum power and efficiency.F60 models are perfect for aluminum fishing boats, bay boats, inflatable boats, pontoon boats and fishing boats. They are designed to satisfy the demand of leisure boaters with all kinds of boats. 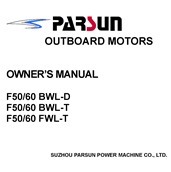 PARSUN 60HP EFI outboard motor are powerful, reliable and easy to operate. 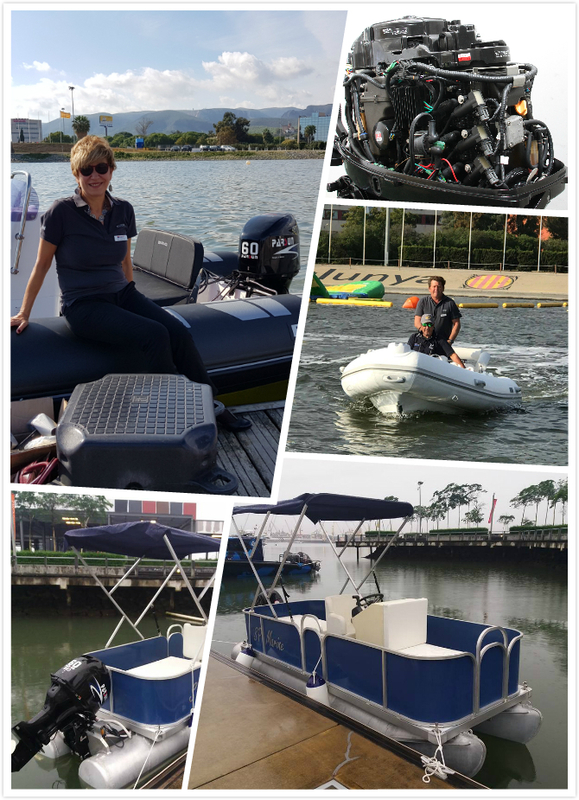 PARSUN 60HP outboard motor has a new cowling design with an optimized intake air drain system, which can easily drain the water entering the top cowling during normal engine operation. Several different sensors continuously monitor the engine's critical functions. They will send out special signals to inform you in advance, such as Over-Rev Limiter, Over-Heat Warning, Start-in-Gear Protection, Lower Oil Pressure Warning, and automatically reduce the engine power to prevent damage. PARSUN four stroke 60HP EFI engine is controlled by the ECM unit, which ensures the precise amount of air necessary for optimum power and fuel efficiency. The air enters each cylinder through individual long intake manifold, helping to provide air at the precise volume and timing for maximum density and power. The four electronic fuel injectors deliver the exact amount of fuel to get the best optimum performance and economy. 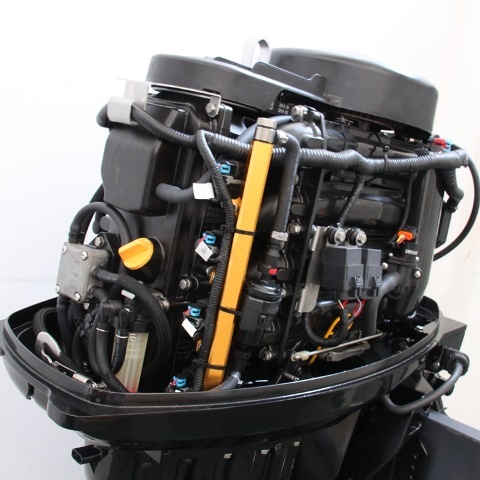 F60 outboard motor is equipped with boat-mounted water separating fuel filter, preventing any debris or water in the fuel from getting into the engine. Blow-by-gas re-burning system and labyrinth exhaust help to get the better emission and lower noise. F60 outboard motor meets both CE and EPA Emission Standards. Highly anti-corrosive paint system provides a five-layer painting against corrosion. Stainless steel components such as the drive shaft, propeller shaft and shifting shaft, provide the critical corrosion protection. Multiple sacrificial anodes throughout the motor provide protection from the elements. 1. Built-in freshwater flushing system provides easy routine flushing. 2. High output 18 amp alternator facilitates battery charging and fishing electronics. 3. Power trim & tilt or hydraulic system makes the engine operating more easily. 4. Magnetic drain plug for replacing oil easily. 5. Engine RPM meter, boat speed meter, battery voltage meter and tilt & trim angle meter are available at option. 6. Reliable Delphi E.F.I. multifunction diagnostic scanner (available at option). PARSUN’s 60 HP outboard motor is designed with a programmable microcomputer. With fuel injection, an innovative CDI system, and high maneuverability, it’s the best value in its class. High durability, fuel efficiency and low noise provide superior performance.